A sepsis surveillance and treatment initiative at Frederick Memorial Hospital has slashed the facility’s mortality rate for the deadly infection. On an annual basis, sepsis affects about 1.7 million American adults and the infection is linked to more than 250,000 deaths. From 2012 to 2016, Frederick Memorial Hospital implemented sepsis surveillance and treatment measures that reduced the infection’s mortality rate by 65%. “In 2012, we recognized that our mortality level was one-and-a-half times what the expected values were based on coding and auditing of charts, and patient comorbidities. So, we started to drill in on the root causes. What we found was that we did not have good bundles or processes that were in place to even identify patients who were at risk of sepsis,” says Debra O’Connell, RN, manager of performance improvement at the Frederick, Maryland-based facility. Frederick Memorial’s first step toward addressing its sepsis challenge was developing an EMR-based screening tool. “There is a screen shot that provides the clinical staff and the nurses with some fundamental questions about the patient’s status. It asks about vital signs, it asks about whether there are potential sources of infection, it asks about mental status changes, it asks about white blood cell levels—it asks questions and the nurses fill in the blanks. Then the tool calculates a score, and if patients have a score above a value of 2, it prompts the nurse to get additional orders from the physician because the patient may have sepsis,” O’Connell says. The screening tool underwent a clinical trial at Frederick Memorial, then it was implemented in the emergency department and as an as-needed tool associated with specific chief complaints, she says. In 2017, Frederick Memorial started using the screening tool for active surveillance of all inpatients. 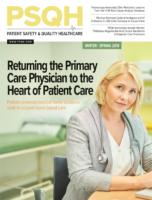 “We recognized there were some opportunities to revise the screening tool and change it from an ED screening tool to more of a sepsis surveillance screening tool, so that all patients who were admitted to the hospital would be screened on admission, then two times per day after admission. That allows us to capture patients who may be hovering with sepsis,” she says. Some members of the nursing staff initially resisted the daily screening of all inpatients, but the reduced mortality rate played a decisive role in achieving widespread adoption of the surveillance effort, O’Connell says. O’Connell says there were two essential elements in Frederick Memorial’s successful sepsis prevention initiative.